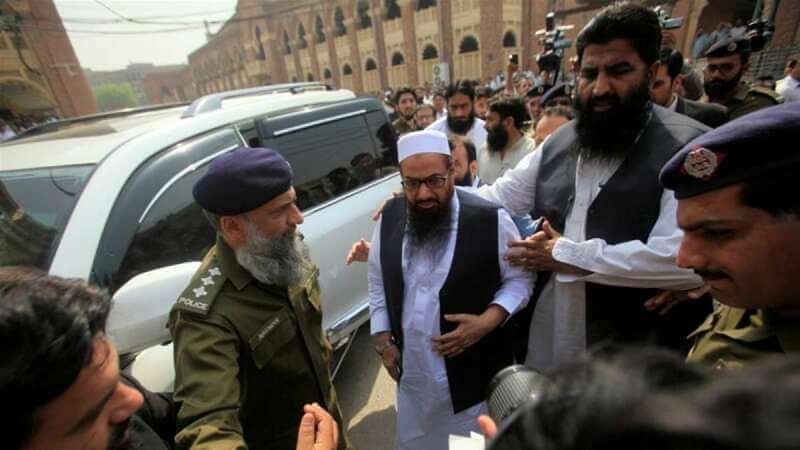 Islamabad : Following the delay to crackdown on Hafiz Saeed’s Jamaatud Dawa group, the Lahore High Court on Thursday warned the government against "harassment" of Hafiz Saeed, the LeT founder and prime suspect behind 2008 Mumbai attacks. The court ordered authorities to not disturb his "social" activities till the next hearing. Hafiz Saeed has been declared a global terrorist by the UN, US and India due to his active involvement in the deadly 2008 Mumbai attacks. The Pakistan court decision comes two days after the US designated Milli Muslim League, as a terrorist organisation. It is the newly founded political party by Saeed. On Thursday, Saeed's advocate AK Dogar requested the court for a full bench hearing since the case was of a "sensitive nature". Justice Ameenud Din Khan said the court will take a decision on the request in the next hearing. He is the same judge who had ordered the federal and Punjab government, last month not to arrest or take Saeed under house arrest. Justice Ameenud also asked the authorities to submit their responses on the Jamaat-ud-Dawa leader's petition by April 23 and allow him to continue his "welfare activities till the next hearing.